Rocket Matter Knowledge Base LawToolBox - Court Rule CalendaringHow to modify/delete existing court rules. 1. Navigate to the matter. 2. 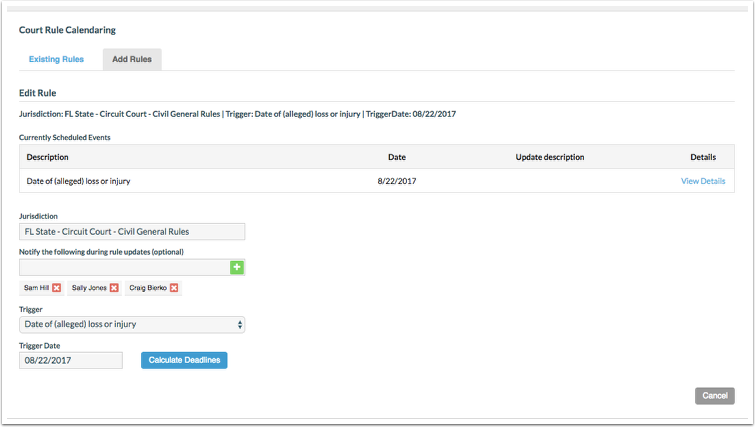 Click on 'Court Rules' and confirm 'Existing Rules' tab is selected. 3. Click on blue pencil to edit existing rules. 5. Add updated events to matter. 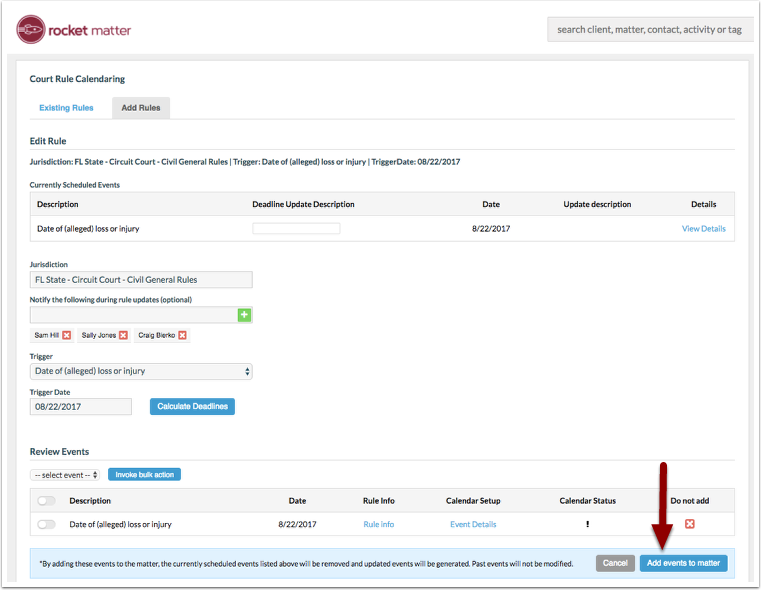 Prev: How to add a rule for court rules calendaring for a specific matter. Next: How to add/remove my jurisdiction for court rules and set default jurisdiction for LawToolBox.